PDF documents are supposed to be uneditable. What have I just said? Yeah! Even till now, many still don’t think PDF files can be edited. While we used to copy contents from PDF documents, many authors prefer to lock their files to prevent plagiarism and violation of copyrights. What if you now finish editing your documents, proofread and later discover an omission, typo error, wrong grammer usage or just want to add to the content, change statement or update some lines with new valid data, this can become a problem. If you’re trying to edit a PDF document, you may find that it is a lot more difficult than you expect as there may not be PDF editors that work just as you expected. 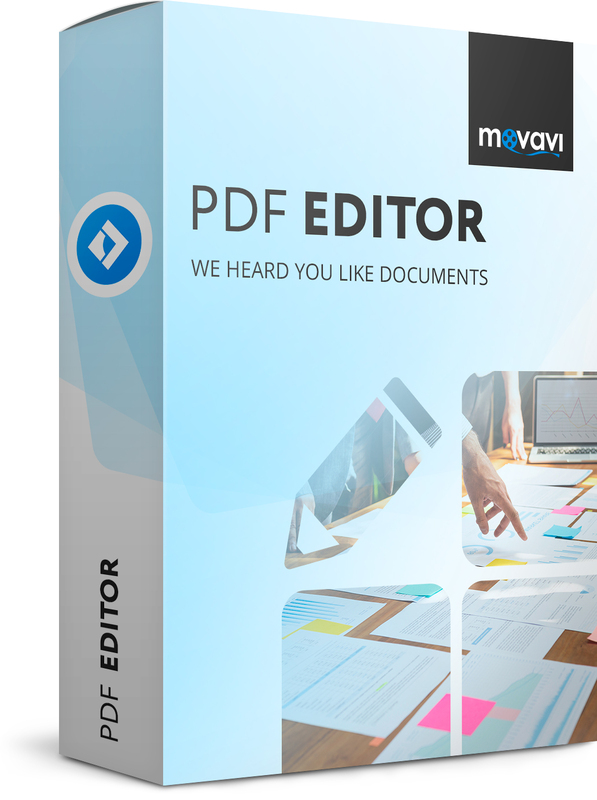 There are many PDF file softwares with different features and the one we’d be talking about now is Movavi PDF editor, one of the best applications to view PDFs and images, convert image to PDF, write in PDF, manage and export files to PDF etc is Movavi. You can download the free full version of the PDF editor online on the official site or any other download sites. It has the Windows version and work well with Windows 7, 8, or 10, 32, Windows Vista and 64-bit versions. Your laptop should have at least 2 gigabytes RAM, at least 325 free hard disk space, 1 GHz, compatible processor or Intel or AMD, 1280 × 768 computer screen resolution and 32-bit color. However, for Mac version, it works well on Mac OS X 10.7 and above. While you can download some versions of the app for free, like the Movavi 1.3 and others, some are paid, like the version 1.4 which costs about $20, and with similar system requirements to the Windows app. There are some PDF viewers you must have used, some with editing tools but most of these free tools, either on desktop or possibly on mobile are not built with user experience in mind. The formatting capacity of such tools may be limited in order to market the paid version and make you go for the premium package which can cost some bucks, Movavi Free PDF editor can still be well used for personal purpose and use. Movavi PDF editor has a very easy navigation and the user interface is clean and simple, making the formatting tools you need to polish your PDF documents easily accessible with just a click. If you’re thinking of how you can edit PDF for free without watermark, you definitely have to avoid most online tools since your document is not safe and Movavi is designed to fill this gap as it proves to give you nice user experience that requires no prior experience and special skills. With the PDF editor for Windows , you can do the following but not limited to the features we listed here. Save your Excel file, Photoshop file Word doc, AutoCAD as PDF doc and merge together in a single PDF file. You can also merge scanned documents in Movavi PDF editor if your scanner can not perform this task and scan only pages that failed to scan without repeating the whole process, rescanning the document all over again. Most of these features are also available to Mac users, with few differences in the formatting tools and what they do. 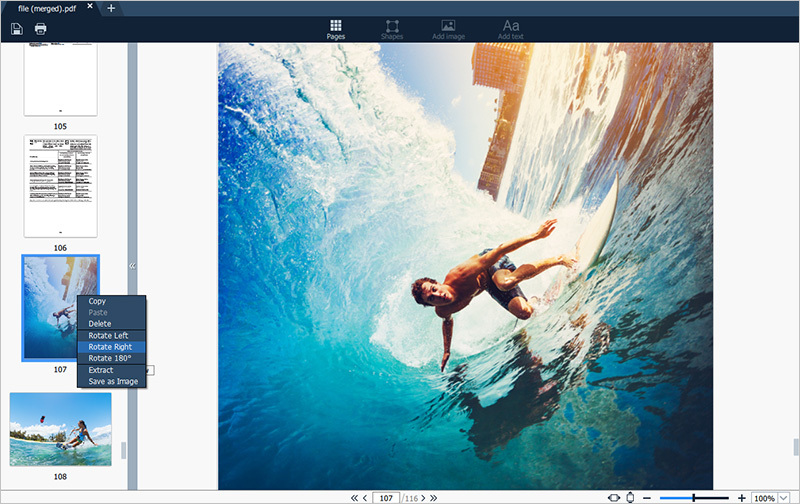 As you may be starting to realize how much you’ve missed the features of Movavi editor, you just have to try this app and feel the difference and how it can help in handling your PDF doc formatting.